Own a piece by renowned artist, Marilynn Mason. 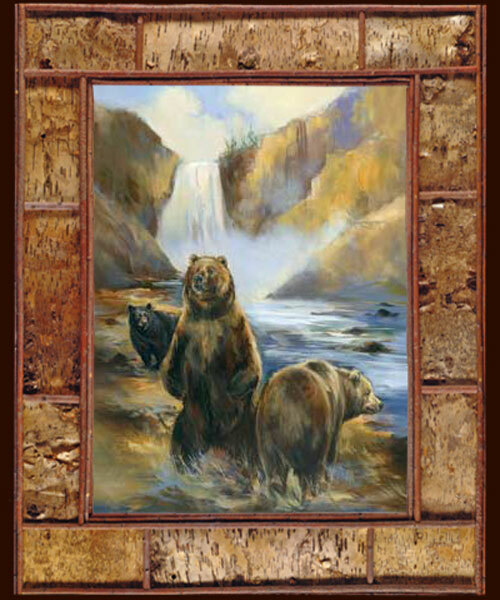 This masterfully created giclee on canvas, is beautifully framed in twig and birchbark. Limited edition. Canvas measures 30x40", with the frame the measurement is approx 42x52".